Love, Jeffrey J.; Chulliat, A. 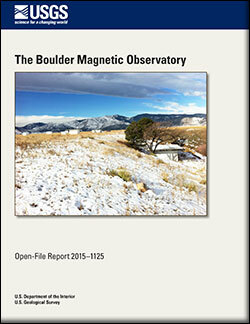 An international network of magnetic observatories; 2013; Article; Journal; EOS; Love, Jeffrey J.; Chulliat, A. On the insignificance of Herschel's sunspot correlation; 2013; Article; Journal; Geophysical Research Letters; Love, Jeffrey J. Love, Jeffrey J.; Thomas, Jeremy N.
Insignificant solar-terrestrial triggering of earthquakes; 2013; Article; Journal; Geophysical Research Letters; Love, Jeffrey J.; Thomas, Jeremy N.